New Delhi, Sep 26 (IANS) The Enforcement Directorate (ED) on Tuesday said it has registered a case of money laundering against Murari Lal Tayal, who was Principal Secretary to then Haryana Chief Minister Bhupinder Singh Hooda, and three family members. The CBI had on September 4 registered a case against Tayal, his wife Savita, son Kartik and daughter Malvika and a firm Kappac Pharma Ltd on the charge of possessing disproportionate assets. A case was registered by the CBI under the Prevention of Corruption Act in connection with an ongoing probe into a land deal scam in Gurugram’s Manesar. The CBI said its investigation into the Manesar land scam case registered in August 2015 revealed that Tayal had acquired movable and immovable assets worth Rs 17.5 crore in his own name and those of his family by corrupt and illegal means and by misusing his official position. 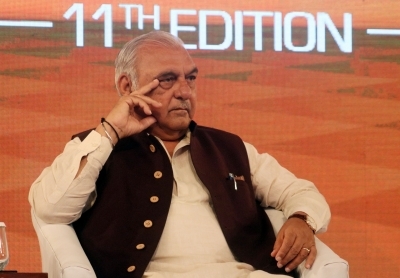 Tayal was Principal Secretary to Hooda from March 6, 2005, to October 31, 2009. According to officials, Tayal played an important role in various important administrative decisions, including release of land in Manesar which was in the process of acquisition by Haryana State Industrial and Infrastructure Corporation through the Industries Department.